Duke University has their yearbooks digitized and available online. This is another good yearbook collection with a good amount of football history involved. The Duke yearbook is available at the Internet Archive as well as at Duke's Digital Collections page. 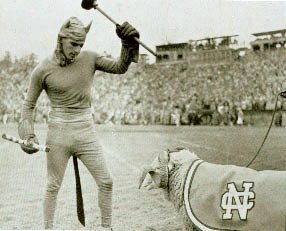 There are also links there to old yearbook photo albums featuring pictures of Duke basketball and football. Plus Duke has digitized a number of their colorful football programs which you can check out if you're into that kind of thing. Welcome to the party Blue Devils.